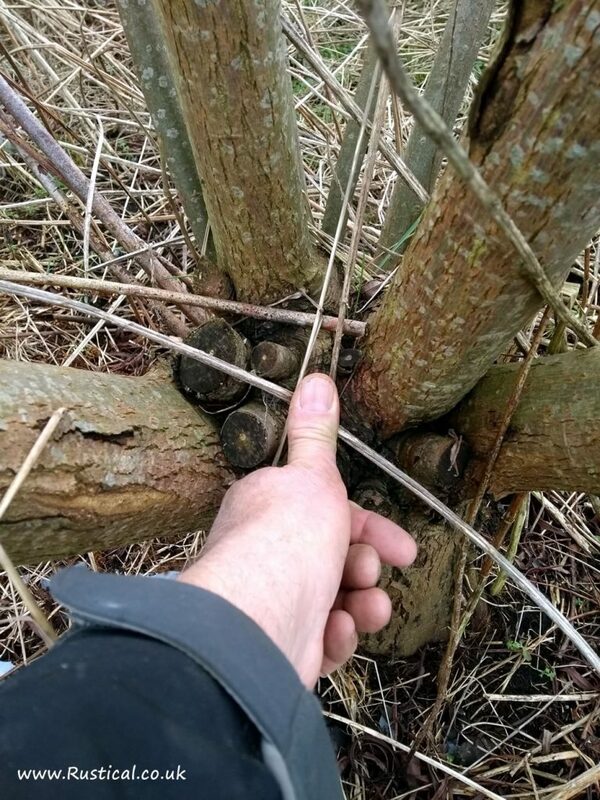 These were established willow stools which had been previously cut annually to provide more plants. 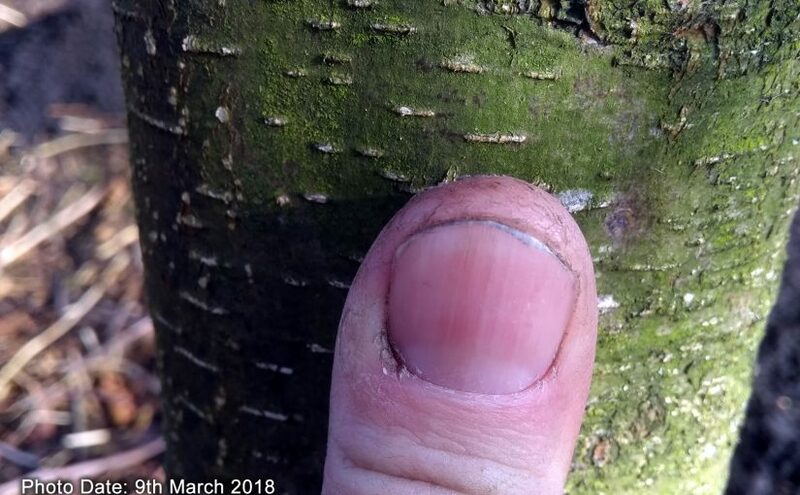 Bred for biomass production these should normally be mechanically harvested every three years and converted to woodchip but retailers often claim they will also make decent logs at the six year point. 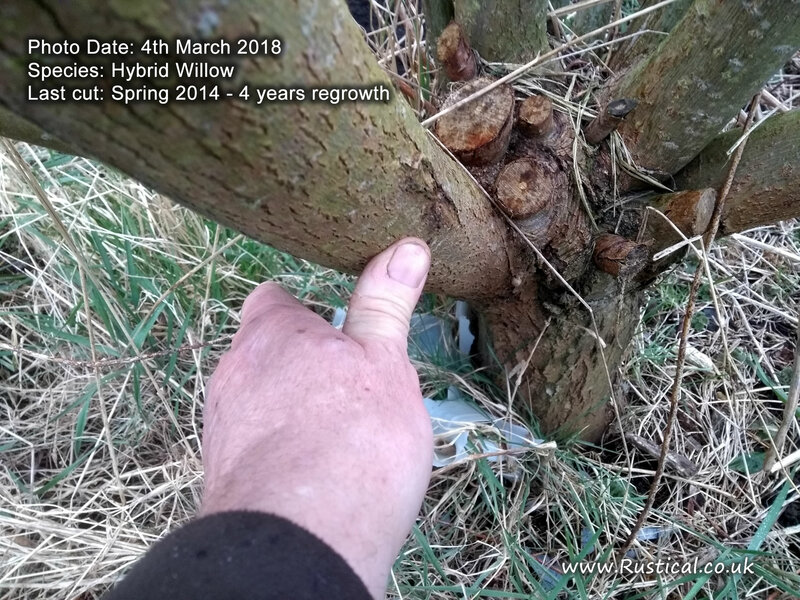 Our observations were that it did exactly what it said on the tin, growing some fantastic rods at the three year point which were an optimum size for both a forage harvester but, more importantly for this trial, a perfect size for feeding into a branch logger. After year three we saw a few stools split in storms but overall little more significant growth. 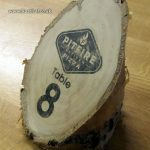 At year six there would be no more than two or three 10″ logs on each rod non of which was of a size that would warrant being split. 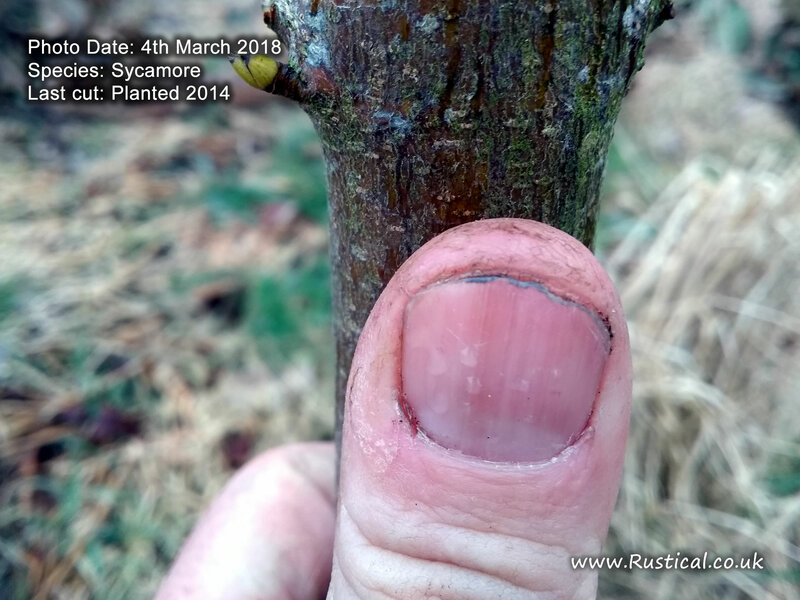 For us, this is more of an inconvenience than a gain; far better to pop the whole lot through a branch logger at year three. For the record, once dried, the hybrid willow is extremely good kindling product for wood burners and perfect for wood boilers. 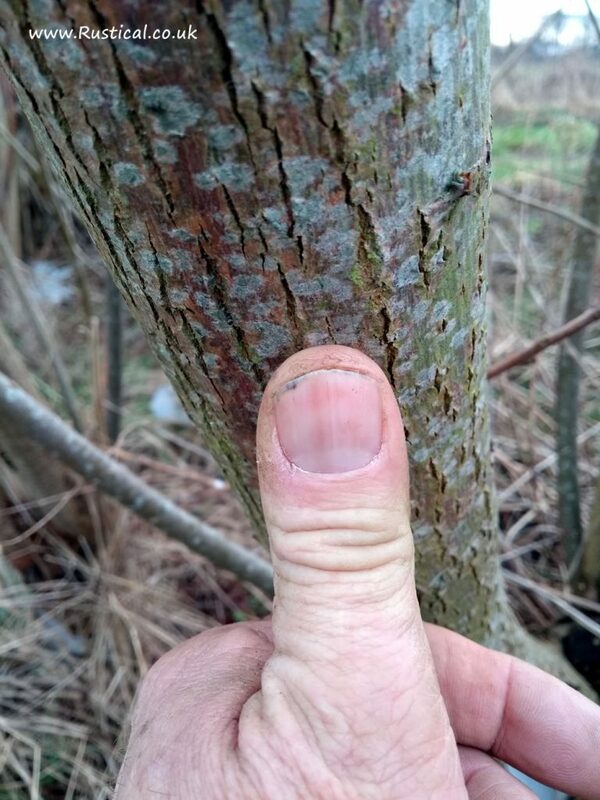 Having been asked to grow Alder to supply local smokehouse we had already been taken with how fast it grew. 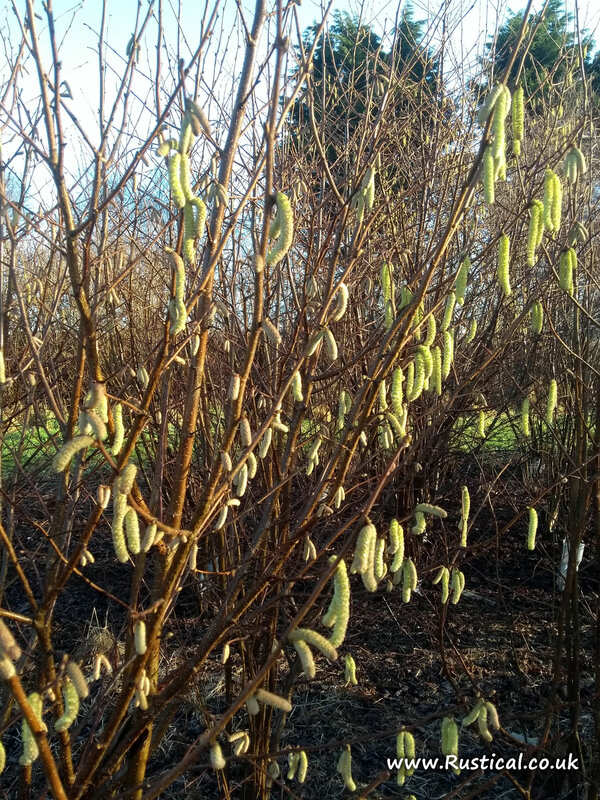 For comparison we planted some one year old transplants to compare with the willow growth. 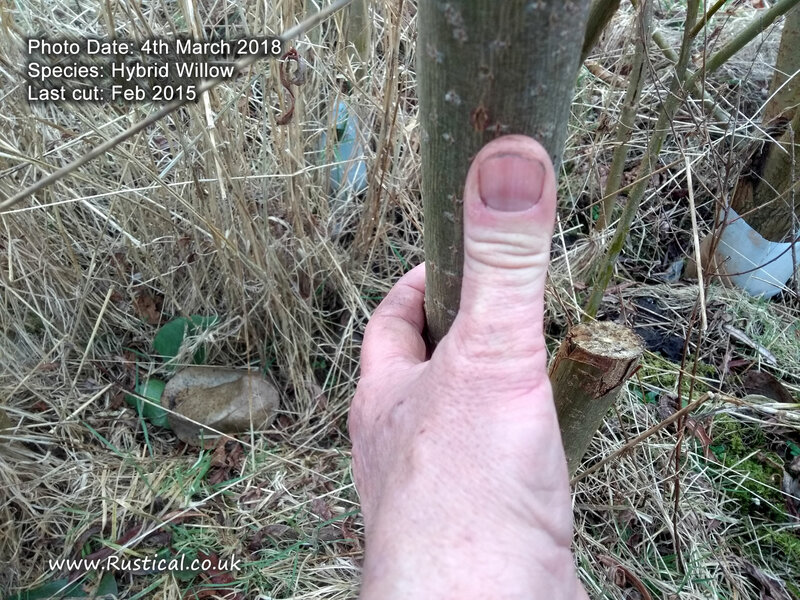 They have produced approximately a quarter of the volume of the willow in this period but it would be interesting to compare the regrowth of an established but coppiced Alder; I suspect the gap would be much less. 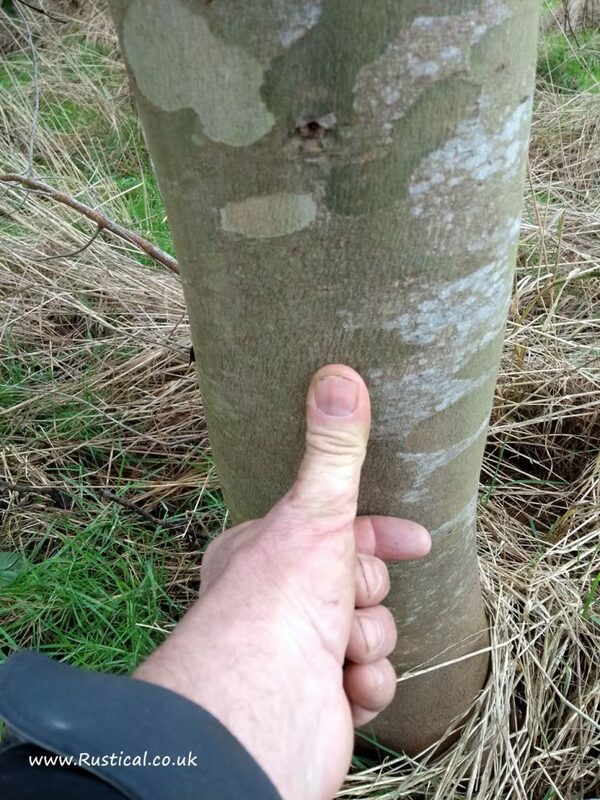 With the onslaught of Ash dieback, sycamore was being promoted as an near comparable product to the ‘very best’ firewood. 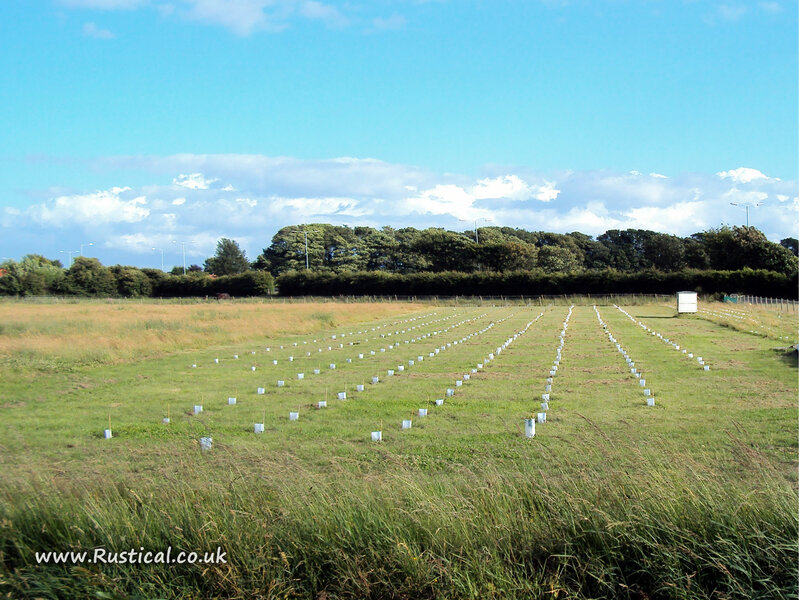 Whilst it was never expected to grow with the same vigour as the other species in our trial it was a useful reference. 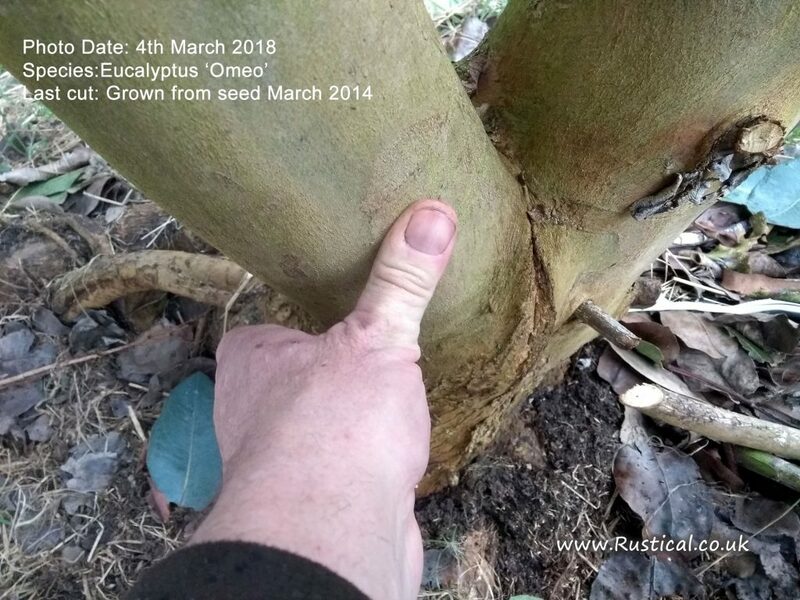 An afterthought to the trial our Eucalyptus was introduced a year after the trial had begun. It was bought as seed which in reality put it two seasons behind all the other species. Growth was nothing short of phenomenal providing decent firewood logs at year four/five. 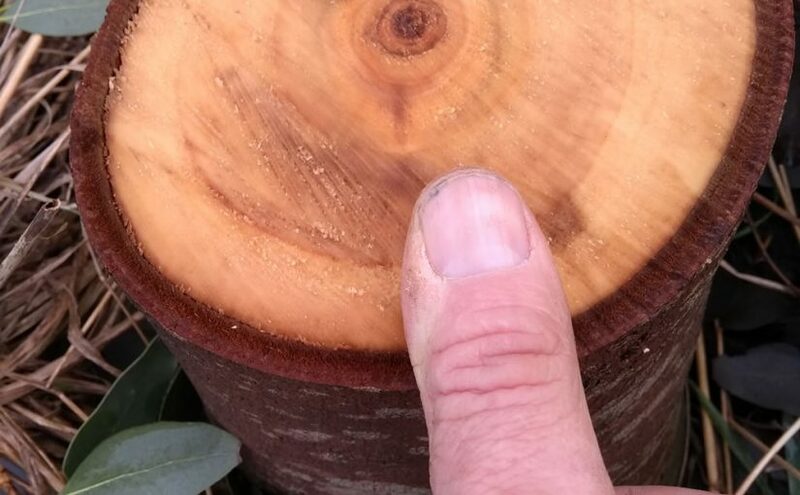 For us there is no debate; for growing firewood logs Eucalyptus is the clear winner. Each of the three Euc varieties trialled (Gunni, Omeo and Mountain Gum) out performed everything else. An added benefit is that even our small plantation provided enough shelter for a Barn Owl to take up residence. In conclusion and for our own circumstances, Eucalyptus wins for ‘grow your own’ firewood logs for wood burners, hybrid willow wins for branch logging / biomass for wood boilers. 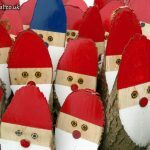 It really doesn’t seem that long ago that we were pricking out these trees as seedlings and growing them on in pots ready for planting out. It turns out we started planting out in this field in 2010. 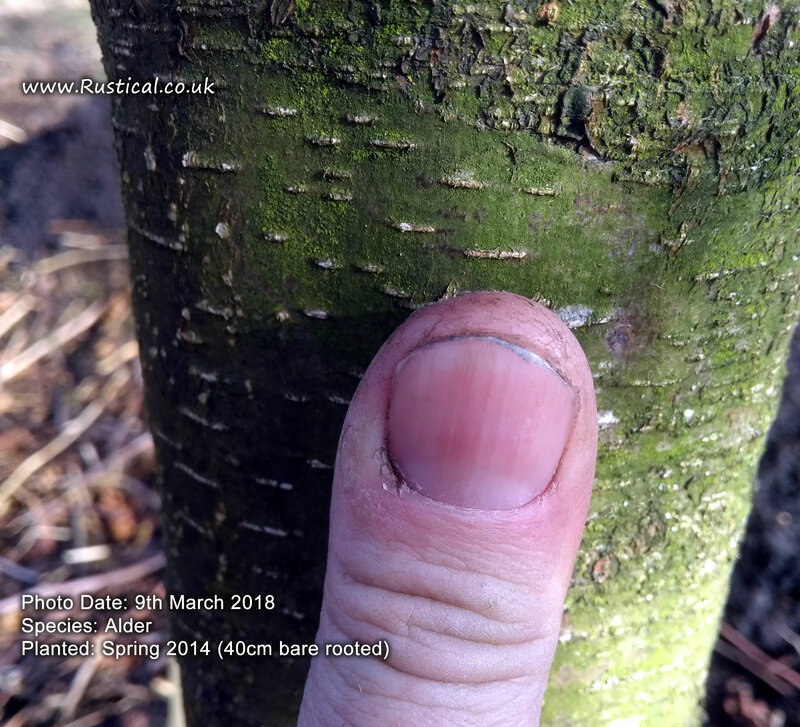 It was a bit of a milestone to be starting to do the first cut on selected trees this week. 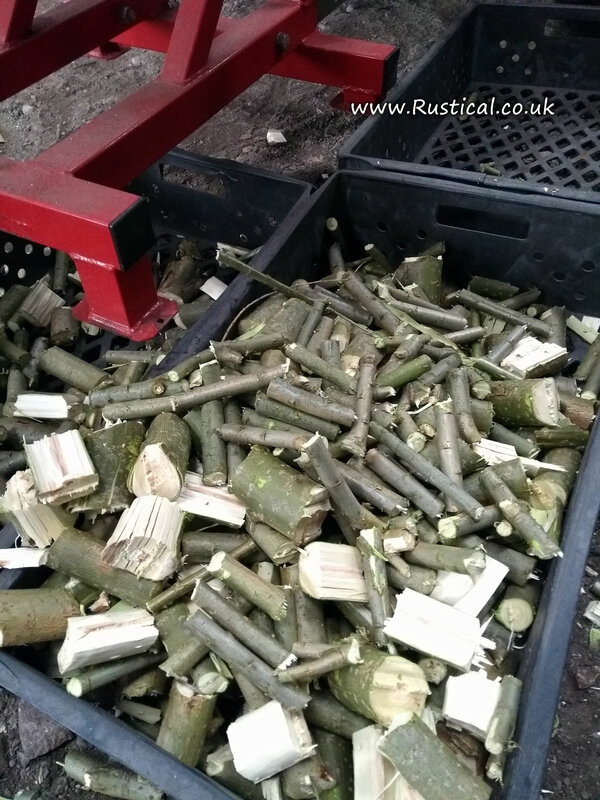 Alder was urgently needed to replenish the wood chunks used by our local smokehouse customers with Ash and Silver Birch used for making things and (as a last resort) fire wood. The little Makita electric chainsaw was given it’s first outing on coppice duties and performed well, if anything too well as I had hoped the batteries would give out before I did. 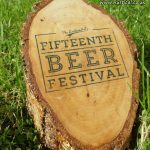 The bar is for measuring the log length. The majority will not need splitting but, if they do, that is the maximum length that the splitter can take. 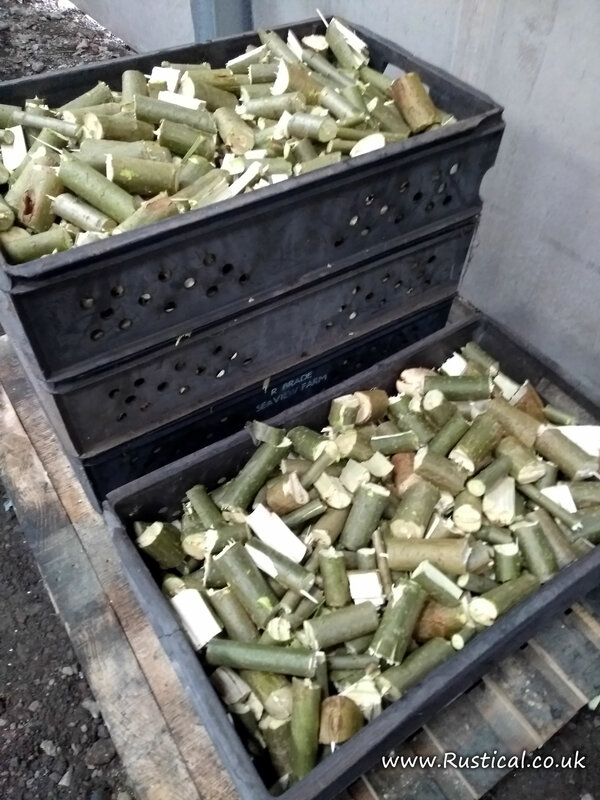 The sticks also fit in an IBC crate which facilitates drying and minimises further handling. As we were only taking out selected trees it opened up the canopy just enough to let some light in. The remaining branches will be ‘chunked’ for wood fuel with the fine brash stacked to provide habitat as it rots down. 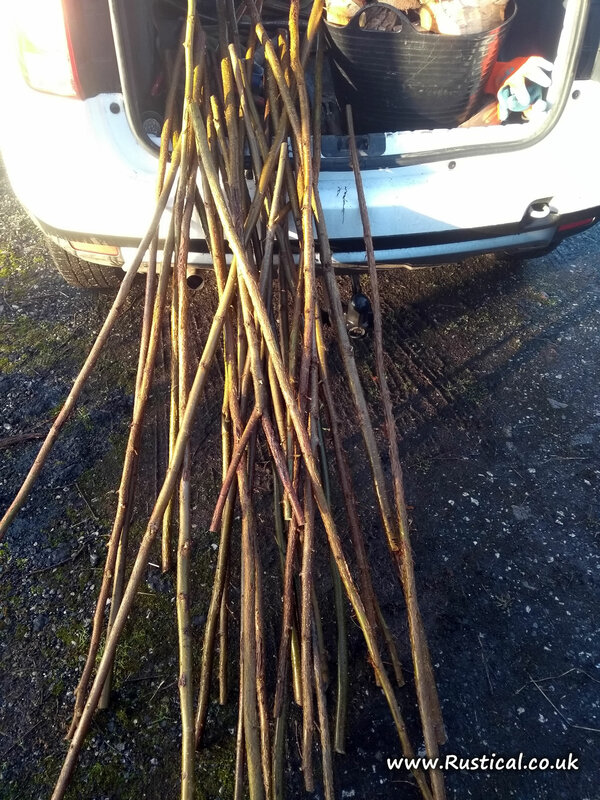 A dry day (at last) allowed a late afternoon walk through a row of hybrid willow short rotation coppice (SRC) to hand cut poles of 7cm dia or more for processing into wood chunks to be used as fuel in BBQ’s, wood fired Pizza Ovens, Wood boilers wood burners. 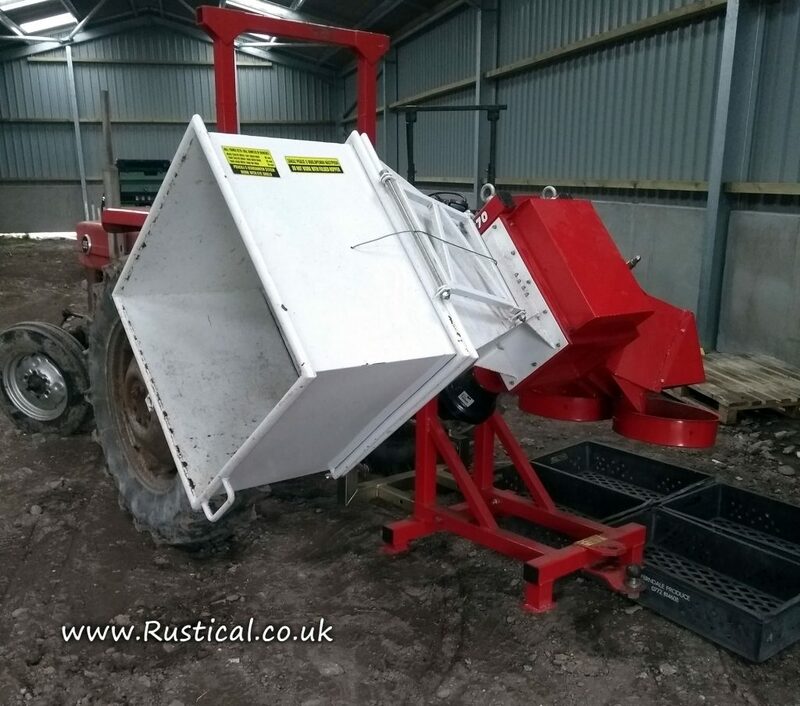 Whilst a mechanical harvest is much faster, it would clear all stems and thus be much more disruptive to the habitat. 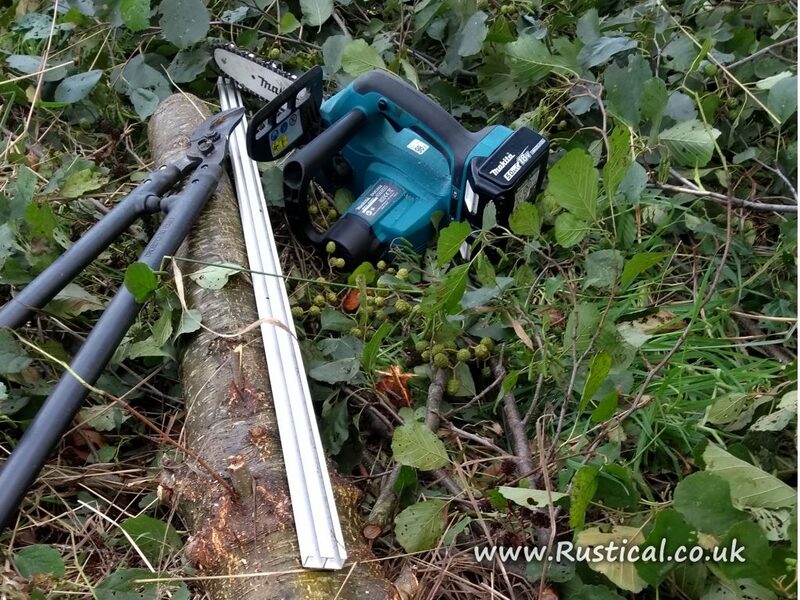 Hand cutting allows only those poles which have achieved the optimum size to be cut leaving the rest for future years. It might be some time before we can get on to the ground with a trailer to collect the harvest but at least this row has been cut through. 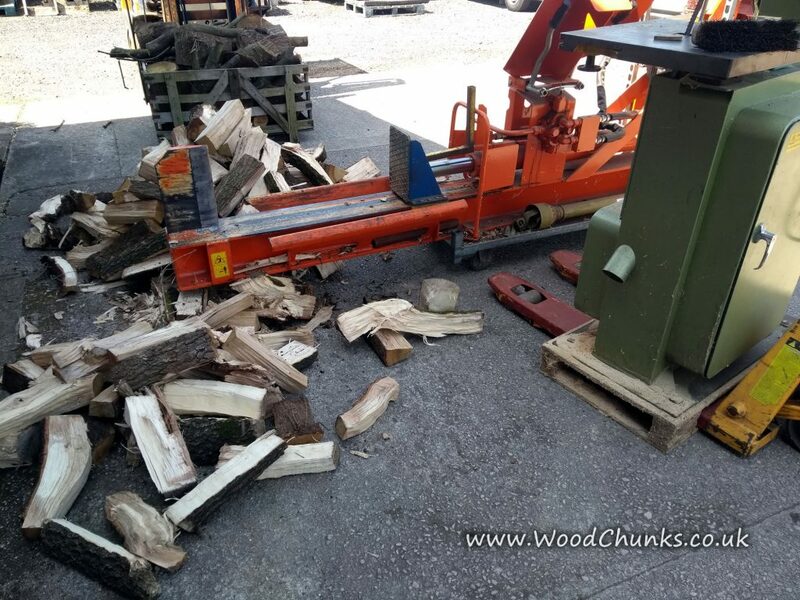 A few sticks were brought back to the yard for processing into wood chunks. 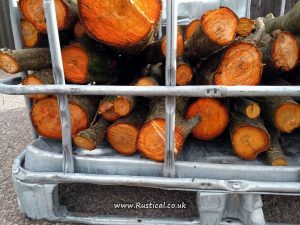 Once dried, the willow wood chunks makes a first first class fuel for wood ovens and also as a great alternative to lumpwood charcoal on BBQ’s (just light it 15 minutes earlier than you would with charcoal). The chunker is powered by a tractor and makes short work of all the sticks fed into it. 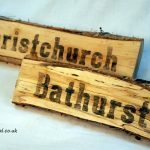 The wood chunks are then air dried in plastic trays for a year. 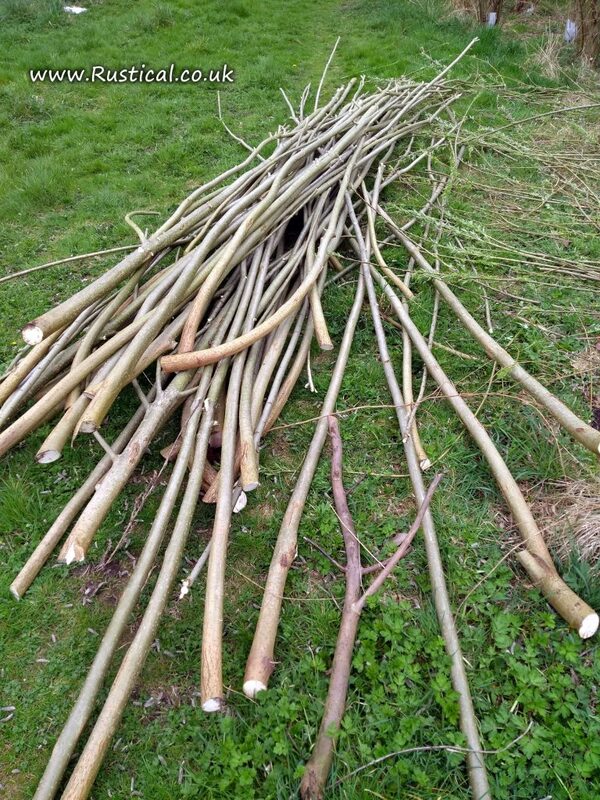 The chunker will process seasoned sticks but it is much kinder to feed it freshly cut sticks as it is far easier for it to processes them and it makes less splinters whilst doing so. 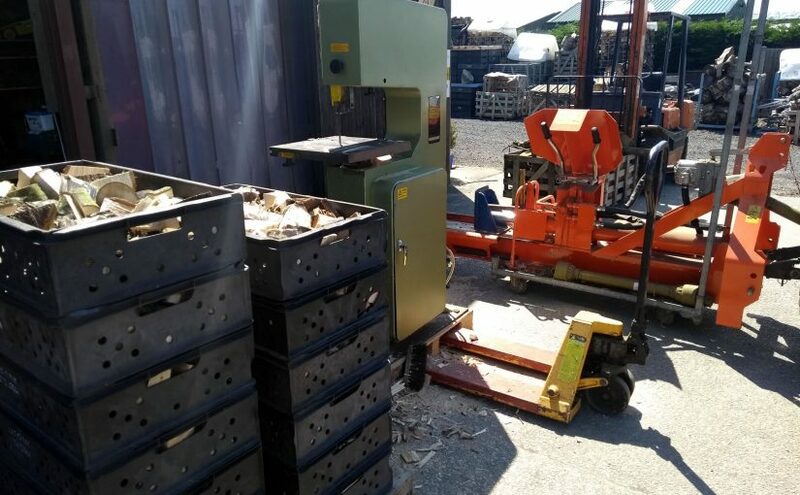 Once in plastic trays, the wood chunks are stacked up on a pallet and air dried for at least one year before they are ready for use. 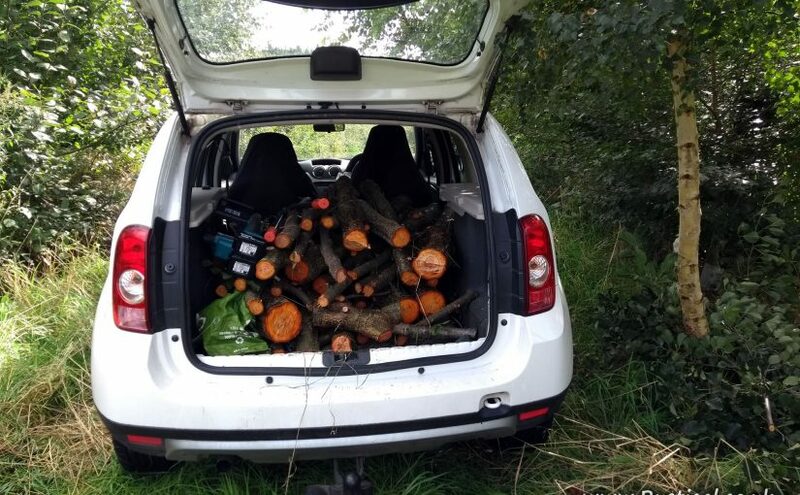 The latest annual update in our trial of a number of species planted specifically for firewood. All species are on the same soil type so whilst not particularly scientific the findings are sufficient to judge which performs best for us. 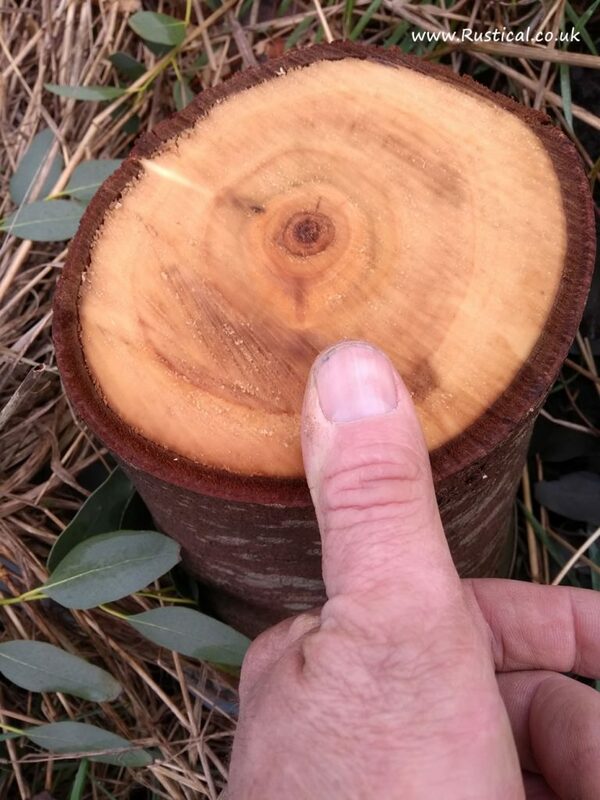 Storming ahead in both rate of growth and quality of logs is the Eucalyptus Omeo. A very hardy variety which has incredible growth leaving everything else well behind. It is incredible to think this was a tiny seed in a packet four years ago. The Eucalyptus Gunnii is not far behind. 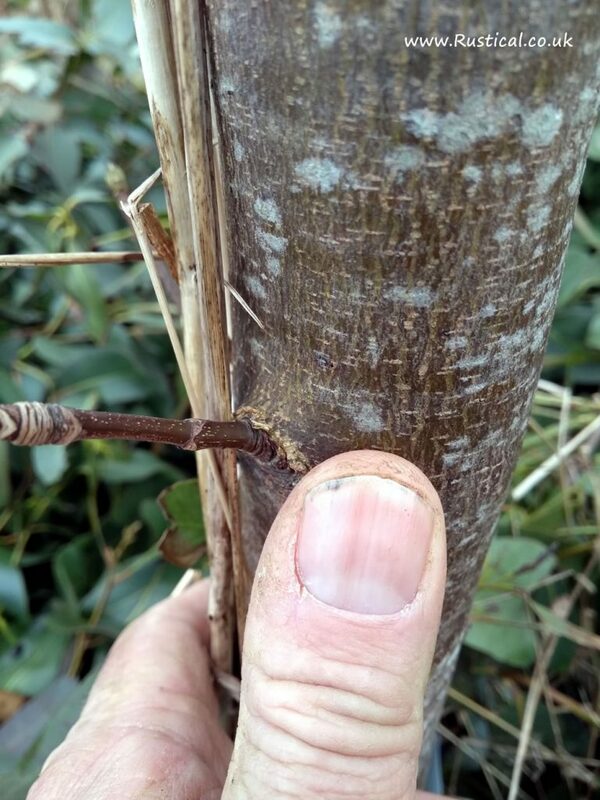 Gunnii is a popular UK garden tree, not as hardy as the Omeo but easily and cheaply sourced. 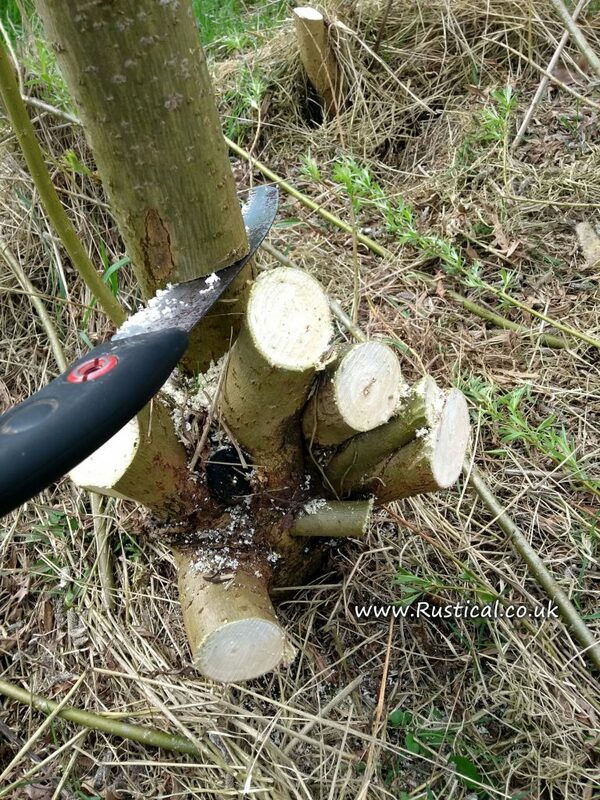 The same hybrid willow in its third year is perfect for making wood chunks and so it is likely that this will be the optimum time to harvest. Willow wood chunks really do make a for good biomass when dry. 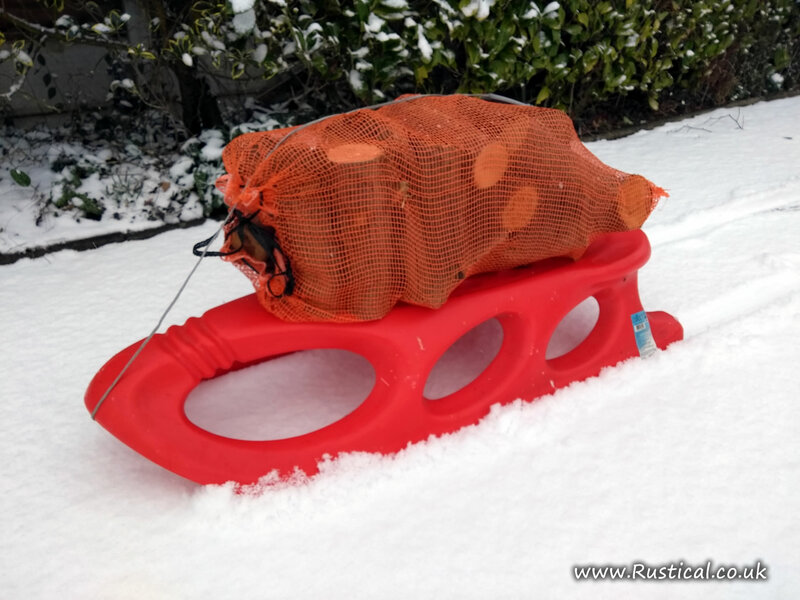 Fantastic for use in log boilers, good for the first load in a wood burner and the perfect fuel for pizza ovens where the gases flare off quickly and leave a wall of very hot charcoal that can be moved around easily. 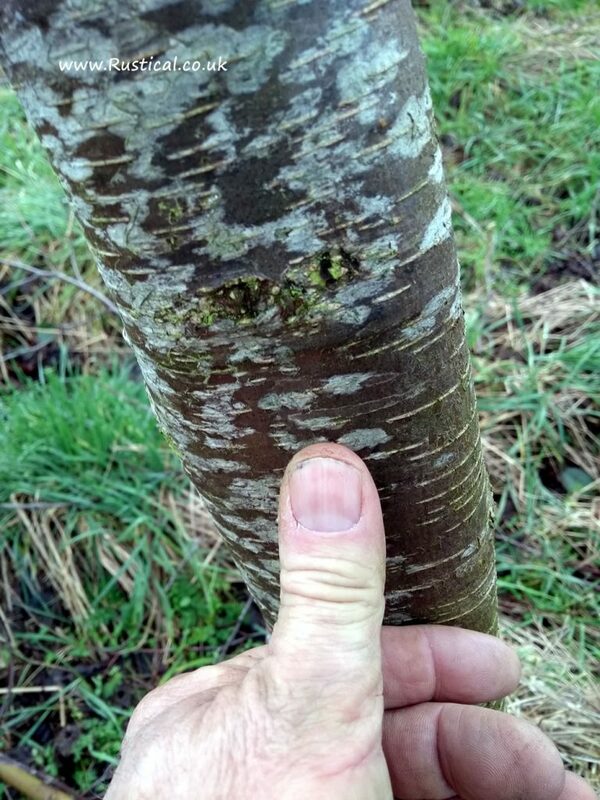 We have some older Alder plants that we grew from seed but to keep up with demand for our Alder wood chunks (used primarily by local Polish and Latvian migrants for smoking meats and cheeses) we planted an acre of Alder in spring 2014 as 40cm bare rooted saplings. 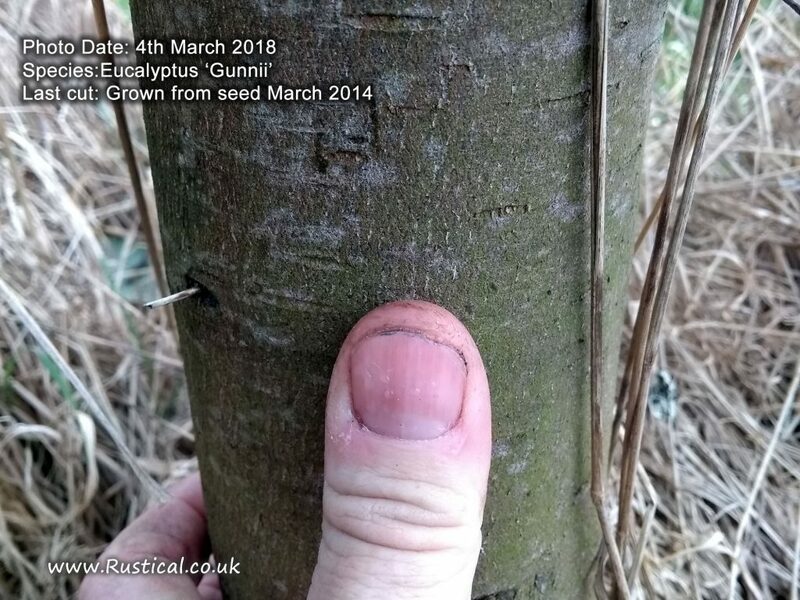 Lastly and for reference the sycamore which was planted out from pots in the same year that the Eucalyptus seed arrived is doing will but just shows how far behind it is in terms of growth rate. I was out and about before the inevitable traffic chaos that goes hand in hand with a dusting of snow and glad I did so judging by the traffic later on. 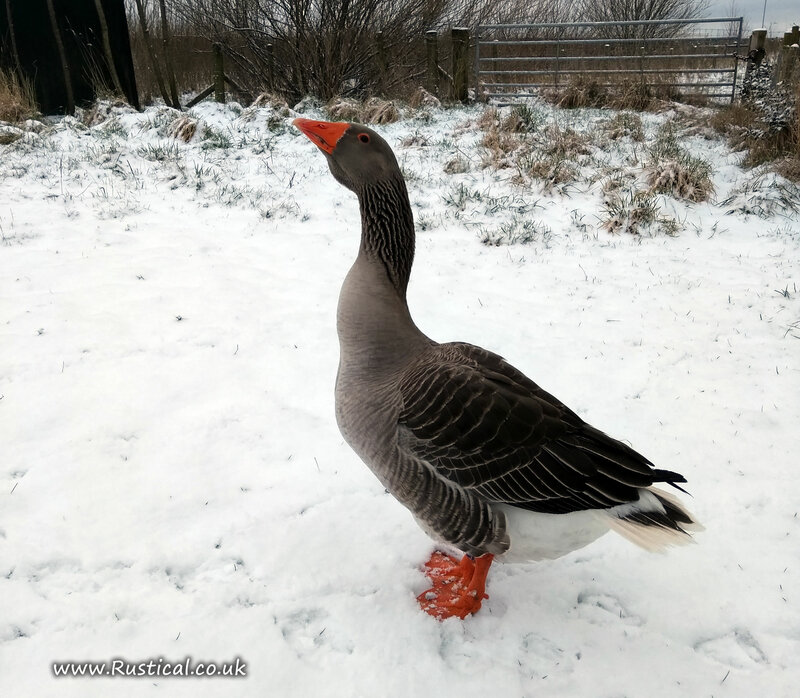 First stop was feeding the hens, the goose, his pheasant lady friends and two robins who stopped fighting for a few minutes so they could feed on a bit of barley. The ‘Office’ looked nice but it was a bit chilly for processing firewood. We had a bit of a rush on yesterday when the snow was forecast but managed to keep everyone happy. 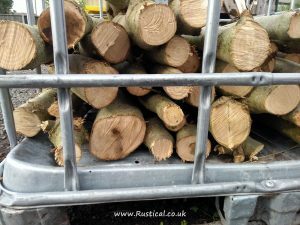 We don’t do firewood deliveries and today would really not be the day to start but we have the kit and could do it the hard way at a price! 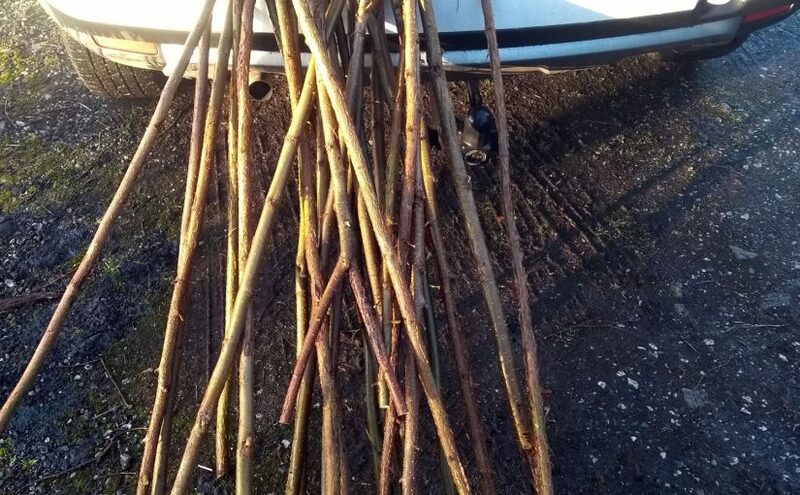 A nice frosty morning allowed a quick venture into our hazel coppice to select and cut some sticks for our stock of blank walking stick shanks catering for local stick makers. 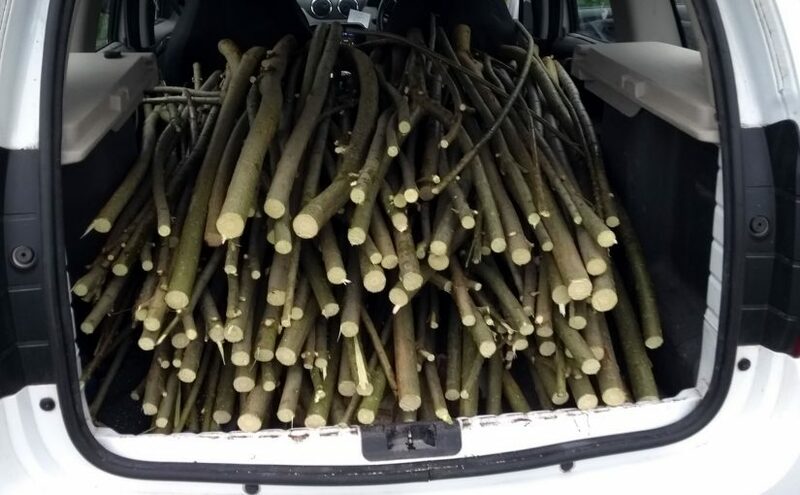 In the main they only get offered for sale after being seasoned for at least twelve months (necessary for the stick straightening process to be effective) but some of our more eager customers do like a browse through the freshly cut stock as well. 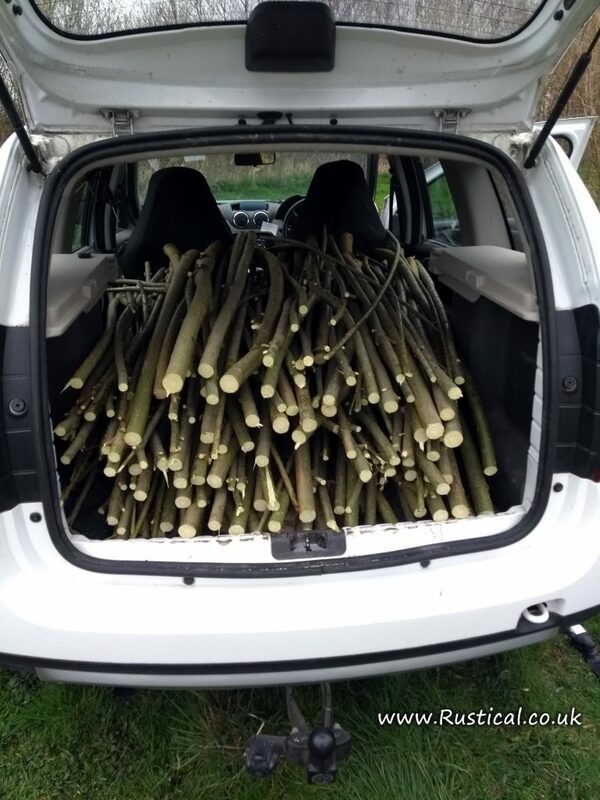 Last year it was 5000 trees on 11 acres at Banks and this year the plan is for some 2500 trees to be planted on a field off Becconsall Lane in Hesketh Bank. 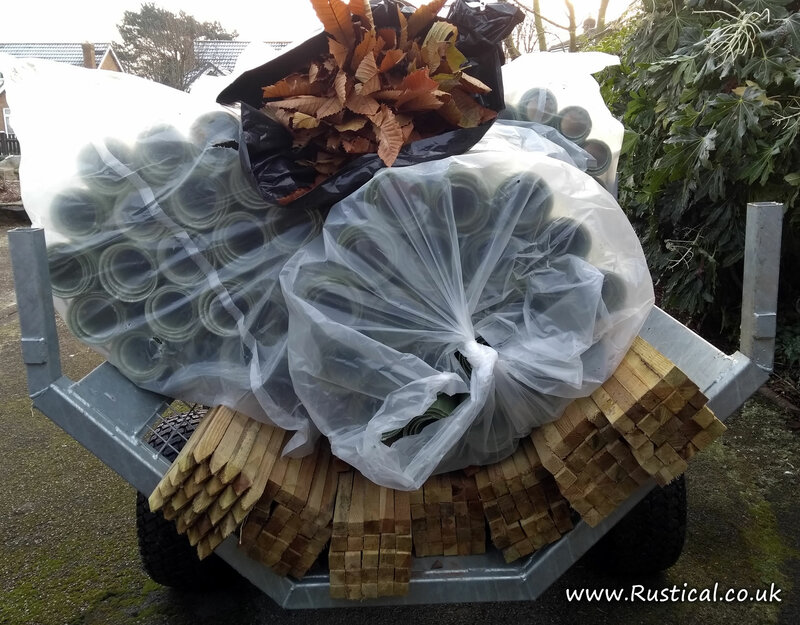 The saplings were delivered this morning so now it is race against time to get the bare rooted plants into the ground before they dry out. 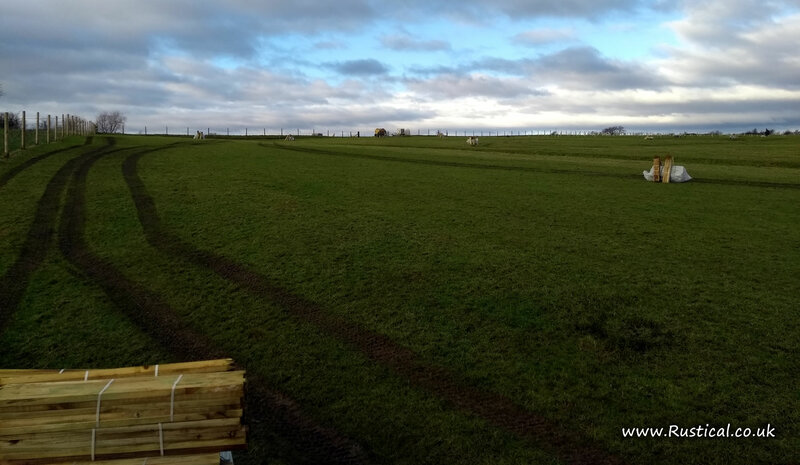 As the ground is still very very wet, the trees, stakes and guards have all been moved onto site with the low ground pressure trailer and a compact tractor. As we passed the recently restored ‘bomb hole’ pond, two Snipe got up from the rushes on the pond edge . I have not seen snipe in these fields for the twenty two years we have been here so that was noteworthy. 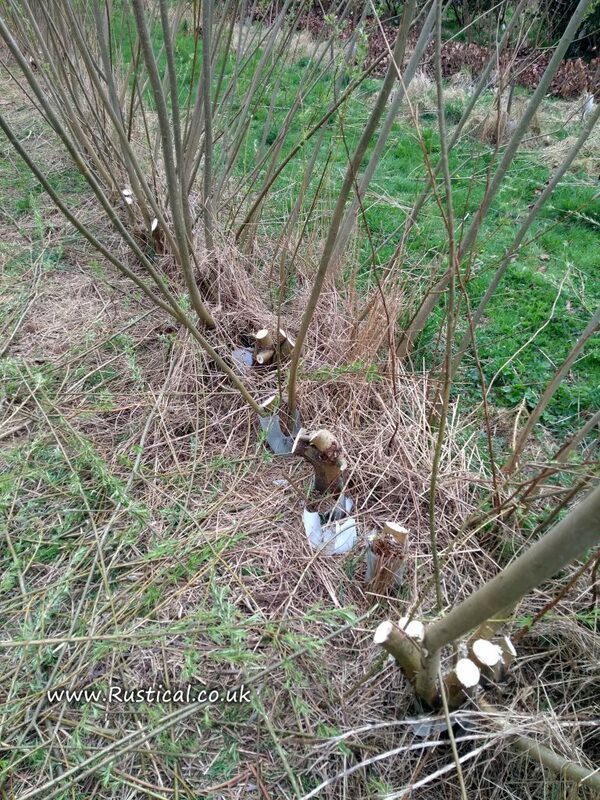 Distributing the stakes and tree guards around the plot without doing damage is very difficult when it is so wet. 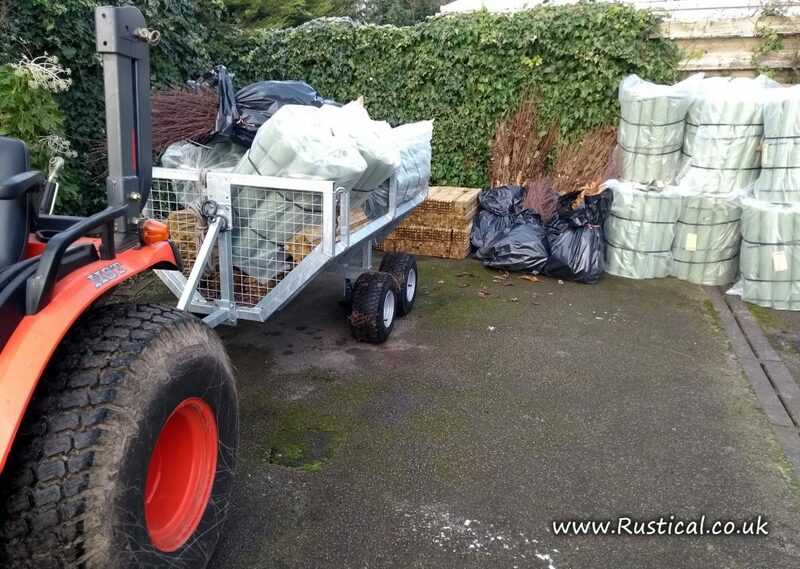 Our small compact tractor with grass tyres was again used but this time with some pallet forks fitted rather than a trailer. To minimise the impact the front weights were removed which meant additional trips but really did minimise the ruts left. After the next (seemingly inevitable) downpour there was little evidence left of a tractor being on the field. 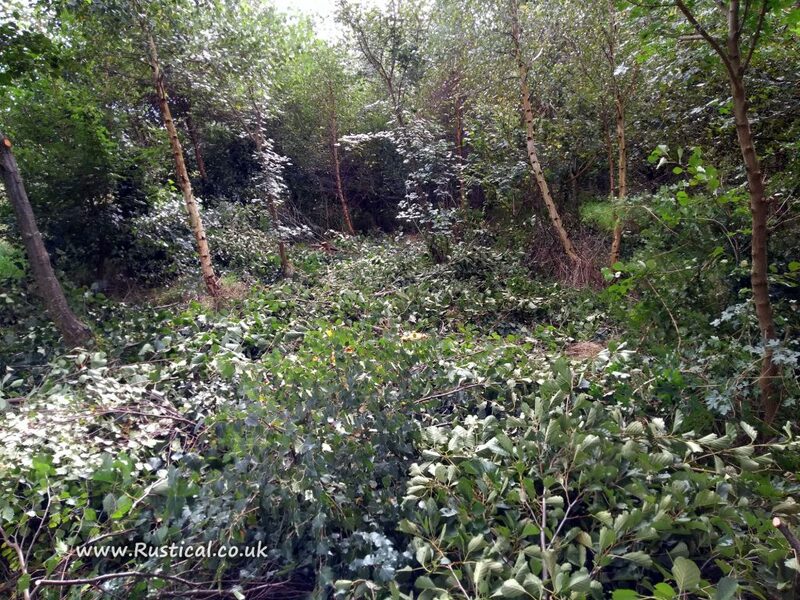 It will be 10-15 years before this new coppice plantation will become productive so it is not a short term project. It will eventually provide a source of timber for traditional woodland crafts, wood chunks for flavoured smoke for food smokers and BBQ’s (WoodChunks.co.uk), fuel for wood fired pizza ovens and firewood (CarbonNeutralFuel.co.uk) but, in the mean time, the growing trees will store carbon, will provide a home for wildlife, absorb air pollution, help reduce water flow/flood risk into the Douglas and Ribble and help river water quality by absorbing any nitrogen run off from the sheep grazing on the higher land. 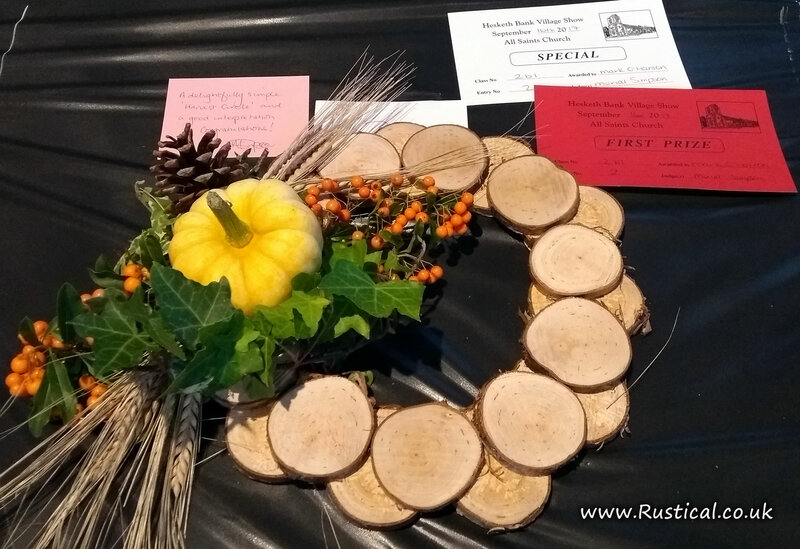 First prize at the Hesketh Bank Village Show for my ‘Harvest Circle’ creation. I’ve never done any flower arranging before but I couldn’t miss out on the chance to include logs, pumpkins and wreaths so very pleased with coming first! 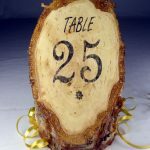 Slices of our home grown Silver Birch made up the base with a simple squash centrepiece with a pine cone, barley, cotoneaster and ivy decorations. 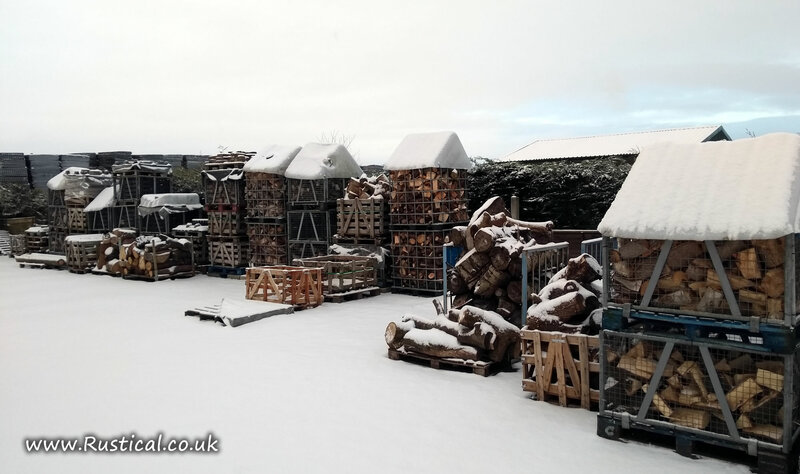 The dreadful weather this morning put paid to any outside jobs which was bad news for the pumpkins but good news for one of our local florists. 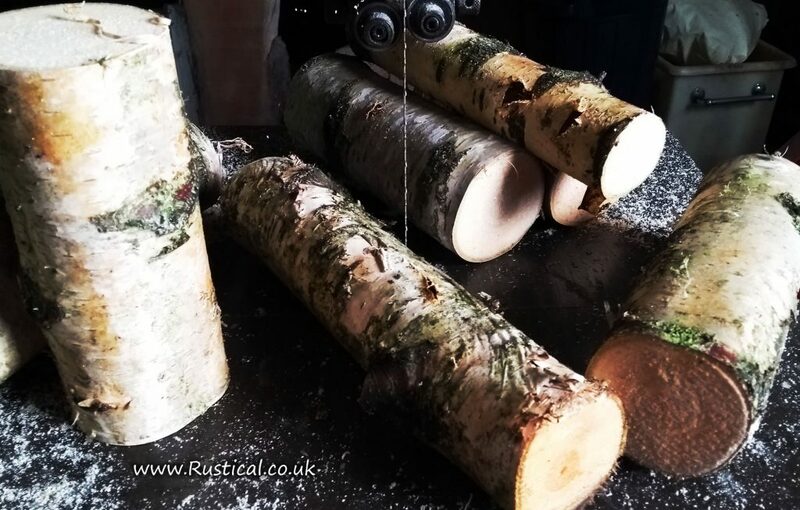 She has been patiently waiting for a selection of premium Silver Birch ‘display’ logs to use in wedding features and flower arrangements. I’ve cut many more than she will probably need to allow her a good choice. 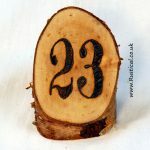 Any rejected will probably end up as blanks for the kids to paint up as log Santa’s or table numbers for restaurants or weddings.